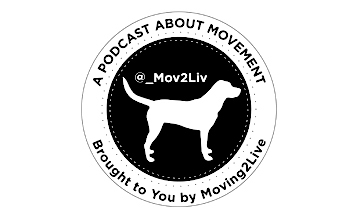 Moving2Live- Apologies for no podcast today. It was bound to happen- 150+ episodes over 2+ years with Moving2Live and our sister podcast FitLabPGH, and this week I somehow lost the audio file (and backups) for part 2 of a scheduled interview. I appreciate a listener emailing me and making me aware that the audio originally posted was incorrect. This is totally my error, and my sincere apologies to anyone who was looking forward to listening to this week’s episode- part II with Eric Chessen. Eric has been very gracious, and we will be releasing a new part 2 once I talk to Eric again. I appreciate every listener and hope you will continue to listen to upcoming episodes, including an upcoming episode with Eric Chessen.